We had a truly delightful week’s stay in July ’11 at Casa Betita. The house is warm, inviting, chic and marvelously appointed. The kitchen is a cook’s dream; fully appointed with everything you could wish for. The bedrooms and baths are equisitely furnished and comfortable and the rest of the home (it truly feels like one) contains many lovely surprises. Melissa has done an inspired job of restoring the property and all of our expectations were met and exceeded. Mornings and evenings on the porticos watching the willow tree sway in the breeze were intoxicating. The house is an easy distance from town yet quiet and relaxed with plentiful privacy. I would highly recommend Casa Betita to one and all. Recommended for:Age 55+, adventure seekers, girls getaway, sightseeing, people with disabilities, romantic getaway. My husband and I have stayed in numerous houses in and around the Taos area in the past 20+ years and I have to say, Casa Betita was the best!! The house and furnishings were wonderful. Our biggest problem was deciding which portal to sit on each morning and evening. The house was convinent to downtown, yet was had a wonderful quite country feel. Several evenings, as we sat outside having our wine, we heard the call of the coyotes in the distant hills. The owner thought of all the little details to make her guests comfortable. She did an awsome job on the remodel of the house. So glad she was able to retain the original house instead of tearing it down and starting over. The old willow tree out front was a plus to the setting. The tree swing brought out my inner child, as I had to take several several rides in it. This will be a vacation we will remember in the years to come. In fact we are already talking about going back next year. Owner response:I love that Casa Betita provided so much enjoyment. Since I am not able to be there right now it does my heart good to know that people are enjoying and experiencing all that I intended for myself. The portal in the morning and the evening for coffee and wine is my favorite thing so I am especially happy to hear that. I will be doing some landscaping in the fall so when you return there will be more wonders for your enjoyment. Thank you so much. Recommended for:Age 55+, people with disabilities, romantic getaway. My guests and I could feel your love permeating the warm walls of Casa Betita, Melissa. I wish you the life of your dreams, filled with the abundance of caring that you shared with us, your guests. Thanks again for choosing such authentically done renovations with Casa Betita, Melissa. You’re really doing your part to sustain the beautiful heritage of the Taos area. Recommended for:Age 55+, pet owners, adventure seekers, girls getaway, sightseeing, families with teenagers, romantic getaway. Wonderful renovated 1800′s pueblo home in “magical” Taos, New Mexico. Awesome and large renovated rooms. Lots of southwest character…..Awesome kitchen + hot tub ! Wished we could have stayed longer, as we were sad to leave. Owner response:Thanks so much. So, so sorry you missed the snow storm and the powder. You will have to return. Recommended for:Age 55+, adventure seekers, girls getaway, sightseeing, families with teenagers, families with young children, people with disabilities, romantic getaway. Thank you for sharing your wonderful home with us. 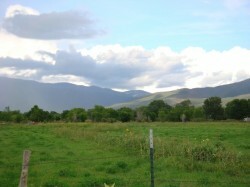 We have been coming to Taos for many years and love the peaceful surroundings. Casa Betita has everything you need yo relax and enjoy…Master bed is very comfy. We hope to be back soon. Thanks Again. Casa Betita was obviously special in pictures, however the magnificence of the property is truly appreciable in person. From the 70 foot weeping willows greeting you in the drive to the sweeping veranda and fruit tree gardens around the lawn, this home is a gem along the Taos riverway – just a mile to the Plaza! The interior furnishings and adobe construction offers the best of traditional and modern. Radiant heat and kiva fireplaces keep you cozy year-round; we hope to visit in each season this year from our relative metropolis in Santa Fe. A great escape just an hour and 15! Recommended for:Pet owners, families with young children, romantic getaway. Hot tub under the stars. Gorgeous colors. Heated floors. A feast for the eyes in every corner and out every window. A weeping willow to make you weep. Comfortable. Peaceful. Convenient. Had the best sleep I’ve had in years. Pictures can’t capture the serenity. Sigh. I can’t wait to get back. Recommended for:Age 55+, sightseeing, romantic getaway. The pictures of this home do not do it justice!!! The house was recently restored by an artist and she didn’t forget any details!!! The outside is just as beautiful as the inside with old willow trees and a covered porch that wraps around the house. Great for outside eating/grilling and entertaining. There is also a large hot tub in the back that is completely private with more outside seating. Close to the plaza but not on top of it with all the noise and traffic. I would highly recommend this home-you will not be sorry!! Recommended for:Age 55+, pet owners, girls getaway, sightseeing, people with disabilities, romantic getaway. This charming well-appointed house was so delightful, I didn’t want to leave. The owner has amazing taste, it’s like living in a comfortable gallery, surrounded by beautiful color, art and design. Everything is new and works like a charm. Great kitchen, comfy beds and nice bedding. The shower in the guest room is gorgeous; every room has charm of its own. The location is perfect, quiet yet close to everything you’d need. Perfect for couples, romantic and lovely. Perfect for friends, nice amount of privacy. I’ll be back for sure. Recommended for:Age 55+, adventure seekers, girls getaway, sightseeing, romantic getaway. We have spent the past two Thanksgivings at Casa Betita and hope to again in 2012. The warmth and beautiful, authentic, and artistic feel of this house make you feel as though you are truly at home in Taos. Casa Betita is equipped with modern conveniences that provide everything you need to just come relax and get away from it all. It is very private and tucked back in a wonderful place to go for a walk, have a fire, or enjoy a glass of wine on the portico. The charm of Casa Betita tells a story! Planning a Vacation to Taos, New Mexico? Casa Betita © 2019 All Rights Reserved.